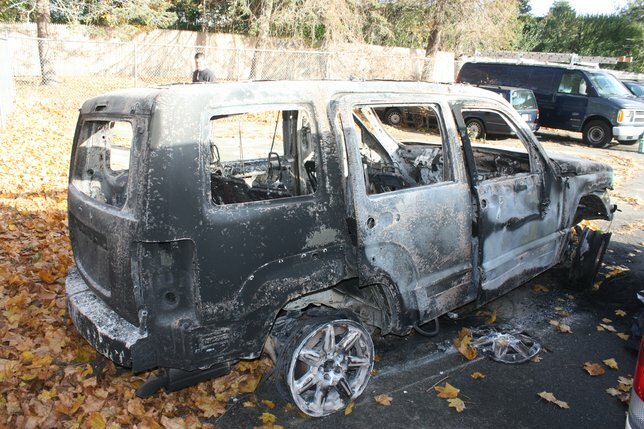 Southampton, NY - December 3rd, 2013 - Suffolk County Crime Stoppers and the Southampton Village Police Department are seeking the public’s help to identify and locate the suspects who burglarized a residence in Southampton Village, stole a Jeep and set the vehicle on fire. Investigators believe several people entered a residence on Pheasant Close North on November 14 and stole two flat screen televisions, assorted jewelry, a safe, cash and other items. The suspects then stole a 2012 Jeep Liberty from the residence. The Jeep was found burned in a wooded area off North Magee Street in Tuckahoe on November 15. Subject: LongIsland.com - Your Name sent you Article details of "SCPD Crime Alert: Suspect Wanted for Burglary, Grand Larceny and Arson"